Naming the Dead is an attempt to identify by name the people reportedly killed by CIA drone strikes in Pakistan since 2004. It is an ongoing project run by journalists from the Bureau of Investigative Journalism, who have been tracking covert US strikes in the region since early 2011. At the time of writing, the Bureau has identified more than 550 individuals by name. Many others are identified through their relationships, tribes, nationalities or by other means. We present what has been reported about the dead in two main ways: an alphabetical list, and in individual pages according to the strike in which they died. This methodology explains how we have approached the current project. The areas it addresses are presented below in alphabetical order. Due to the challenges of reporting from the remote tribal regions in which drone strikes take place, it is common for news reports to disagree with one another over the death toll and other details. Where this happens, we record reported deaths or injuries as a range, reporting both the lowest number of casualties and the highest. The exception to this is where early reports of casualties have been superseded by later ones, in which case we take the latest report of casualties. Where sources disagree about whether civilians or children were killed in a particular strike, or where the reporting is ambiguous over the status of the dead, we record this using the 0 [zero] -X range, where X is the highest number of civilians or children reported killed. This means our lower-end range only includes claims of civilians that are supported by multiple sources. In the Bureau’s drone strikes database, we require multiple sources to report a strike before we regard it as confirmed. In the Naming the Dead database, we may record a name that has been reported by a single source. This reflects the considerable difficulties in getting data. For each name, we publish the source or sources that reported them killed (see Sources and Cited Sources, below). Where multiple variants of one name are reported we present them all in the database. As with all the Bureau’s drone-related data, we welcome correction, corroboration and further information. Email us at [email protected]. We have categorised each named casualty as either militant, civilian or unknown. These statuses are based on how each individual is reported by original sources. The Bureau classifies all individuals credibly reported as civilians as such, and also records as possible civilians those described as ‘tribesmen’, ‘locals’ or ‘people’. The Bureau almost always classes women as civilians: in the FATA region of Pakistan, where the strikes take place, reports of female militants are exceedingly rare. However there are isolated cases where there is a suggestion that women have participated in militant activities, such as that of Raquel Burgos Garcia, a Spanish-born woman married to a high-ranking al Qaeda militant. Reports after her death indicated Garcia may have acted for al Qaeda as a courier or ‘low-level operative’. For this reason she is classed as ‘unknown’. The term ‘militant’ is politically and emotively charged, but has no accepted legal definition, as researchers at Columbia Law School pointed out in their October 2012 study on counting drone deaths. The Bureau’s main drone strike database records the numbers of deaths in two main categories: ‘civilian’ and ‘total’. However ‘militant’ is widely used in reporting on drone strikes and other events in Pakistan’s tribal northwest to refer to members of the numerous armed extremist groups that control swathes of the region. Reports of strikes often offer clear indications that the dead are alleged to be members of these armed groups: other members of the groups or government officials may confirm this, or the targeted building may be referred to as being linked to a particular group. Where the available reporting indicates that an individual was a member of an armed group we record them as ‘Alleged militant’ in the data. The Bureau provides as much detail as possible on the sources for this claim, and their alleged affiliation and rank, where it profiles individuals in case studies. Some individuals are acknowledged by multiple primary and secondary sources as members of armed groups. Where there is a weight of credible evidence suggesting an individual was a member of a specific armed group, the Bureau categorises them as a member of this organisation, for example ‘Al Qaeda member’ or ‘Islamic Movement of Uzbekistan member’. The Bureau will accept a single source as sufficient evidence of membership of an armed group when it comes directly from the individual or from the armed group. Jihadist sources sometimes acknowledge an individual’s role in their organisation, for example by publishing biographies or ‘martyrdom’ statements, or by named members of the group acknowledging that the deceased was a member. The individuals themselves may have self-identified as members of a group, for example by appearing in videos or giving media interviews under the flag of that organisation. Where individuals are described as a member of an organisation by three independent types of source, the Bureau also classes them in this way. These sources could include US, Pakistani or international governmental bodies listing an individual on most-wanted or sanctions lists; unnamed spokesmen for armed groups acknowledging the deceased was a member; and detailed reports in credible media, for example. There are examples where there is conflicted reporting of an individual’s status. While this remains unreconciled, the individual’s status is ‘unknown’. The Bureau adopts the UN’s definition of a child as being individuals aged 0-17 inclusive. The age of a drone-strike victim is not always reported. However, there are signifiers for when a victim is of child age. For example, the school grade may be reported, enabling an estimate of their age; or they might be reported as being too young to attend school. Children are almost always counted as civilians. But there are four possible exceptions, in a strike that took place on August 30 2009 (given the Bureau code Ob30). Survivors’ testimony describes the four as ‘trainee militants’. However it is not clear from the age of the survivors or the language in the source material if the four were children or adults when they died. Their gender and status are currently classified as ‘unknown’. Senior: An individual who has been described as a senior commander or senior operative; the leader of a militant group, and his deputies and close aides; shura (leadership council) members; a regional or national commander; chiefs and deputy chiefs of operations or training; and key commanders. Mid-level: Individuals described as commanders and local commanders. Unclear: Where reports conflict or are ambiguous about their rank. Unknown: Their rank is not specified in the reporting. By ‘strike’, we refer to a missile or set of missiles fired at a single location in a short time window. Where missiles hit more than an hour apart, we count these as separate strikes. Where drones hit locations more than a couple of miles apart we also count these as separate strikes, even when they take place in quick succession. Naming the Dead is partly funded by a grant from the Joseph Rowntree Charitable Trust. The project was also included in the second appeal of the Freedom of the Press Foundation, which invited donations from members of the public to organisations including WikiLeaks, Truthout and the Center for Public Integrity. The Bureau of Investigative Journalism is philanthropically funded, with the bulk of its core funding provided by David and Elaine Potter. Only a small proportion of those killed in drone strikes are identified by name, but many others are at least partially identified in other ways. Reporting often mentions that among the dead were the wife, children, or other family members of a named individual, or that the dead were members of a particular faction, or that they were believed to come from particular countries. In the initial phase, Naming the Dead is publishing those identified by name. Future phases will include the publication of individuals identified in these other ways. Every strike or event covered in Naming the Dead contains active links to the news reports, statements, documents and press releases that we have used as our sources. We also incorporate images and video clips relating to specific events. The data is active and changes according to our best present understanding. New information on a particular strike or action can emerge months or even years after an event. The most comprehensive public information on casualties generally lies in the thousands of press reports filed by reputable national and international media outlets. The bulk of our sources are in English, but in addition we sometimes incorporate reporting in Urdu. Commonly cited international media sources include CNN, MSNBC, ABC News, Reuters, the BBC, Associated Press, the Guardian, the Telegraph, the Independent, Time, the Wall Street Journal, the Washington Post, the New York Times, the Los Angeles Times, Fox News, the Nation, the Atlantic, Xinhua, Army Times, Bloomberg, AFP, NPR, Al Jazeera, and Al Arabiya. Other international sources include the New America Foundation, Critical Threats, Long War Journal, Al Akhbar, Jamestown Foundation, Jihadology, Empty Wheel, Wired, WikiLeaks, the UN, Reprieve, Human Rights Watch, the American Civil Liberties Union, and Amnesty International. Pakistani media sources include Dawn, Express Tribune, The Nation, Jang, Geo TV and The News International. The Bureau also includes reports from the Pakistan Observer but as we do not view casualty reports from that publication as credible at present, we do not incorporate their figures into our casualty counts. The Bureau has carried out field investigations into possible civilian deaths on three occasions. The data also incorporates the fieldwork of credible researchers (for example Stanford Law School and New York University School of Law) and evidence filed in legal cases brought in Pakistan and elsewhere on behalf of civilian drone victims. Leaked US intelligence reports and WikiLeaks diplomatic cables deal directly with specific drone attacks or individuals, particularly high-level militants. Sanctions lists and ‘most wanted’ lists can provide further detail. Jihadist forums and websites sometimes eulogise senior militants with biographies and martyrdom statements. These are cited as sources where relevant. We have also incorporated pertinent material from research papers, books and articles by journalists, academics, politicians and former intelligence officers. On many occasions, there is a reasonable consensus between sources. Where contradictory accounts occur, we strive to speak with particular journalists and sources about their reports, to clarify discrepancies. But where these discrepancies remain we aim to reflect the contrasting accounts. 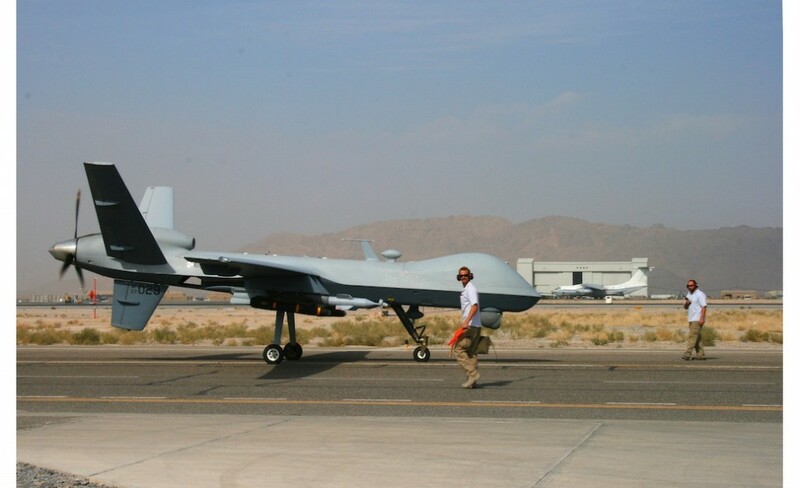 We cross-reference events with the work of other organisations that record drone strikes in Pakistan, particularly the New America Foundation and the Long War Journal. Most reports cited by the Bureau themselves cite a source or sources. Because of the sensitivities around discussing drone strikes and the precarious security situation in Pakistan’s tribal regions, sources often speak on condition of anonymity. Such sources often form the basis of a report: journalists very rarely visit the scene of a strike because of the dangers of working in the tribal areas of Pakistan. Sources are identified in the referenced report or document. This varies from a report citing a single anonymous ‘source’ to sworn statements submitted to the High Court in London. Official sources range from unnamed US, Pakistani and European government officials of varying degrees of reported seniority (ranging from, for example, anonymous local government officials to senior US intelligence officials) to named politicians and officials, among them the former President of Pakistan, Pervez Musharraf. Both anonymous and named militant sources are included. Again, there are varying degrees of reported seniority: from unnamed ‘militant sources’ to statements from Mullah Mohammed Omar, the leader of the Afghan Taliban, acknowledging a militant’s death. The Bureau has recorded each source and the news report, press release, statement or document that cited it beside each entry in Naming the Dead. The names of drone strike victims identified in the Bureau sources are often translated or transliterated. While the names have standard spellings in the original language – Urdu or Pashto, for example – they do not in the English reports. Therefore we use standardised conventions and spellings. Names ending with -ullah are reported as one or two words; for example, Saifullah or Saif Ullah. We are standardising these names as a single word. Similarly, names ending with -uddin or -udin are reported as one or two words; for example, Badruddin. We are standardising these names as a single word. Abd el, Abd al and Abdul are used variously and at times interchangeably. When reported as a first name we are using Abdul. And the Bureau is using Abdul for preference as a middle name, except in instances when an individual is clearly reported as an Arab, when we are using an Arabic variant: Abd al. Similarly, we will use Ismail for preference but exchange it for Ismael for Arab individuals. The title Maulana, Maulvi or Mullah are used interchangeably in reporting. For preference, we are using Maulvi. However, when a particular title is firmly attached to an individual in reporting we will follow that convention; for example: Mullah Omar. We have translated into Urdu the following key information about the dead: their names; their reported status, militant, civilian or unknown; the tribal agency where the lethal strike hit; and the date of the strike. The aim is to ensure as many readers as possible – particularly in Pakistan – can at least identify the dead. It is our ambition ultimately to translate all the information we publish about the dead. There are three words or phrases in Urdu used to refer to militants: Inteha Pasand (انتہا پسند), which most closely translates to extremist; Shiddat Pasand (شدت پسند), meaning militant; and Dehshat Gard (دہشت گرد), which means terrorist. We are using the literal translation of militant, Shiddat Pasand (شدت پسند). There is no standard term in Urdu for civilian. The most commonly used terms are Gher Fauji (غیر فوجی), meaning non-army; Bay Gunnah (بیگنا) or Masoom (معصوم), meaning innocent; and Aam Shehri (عام شہری), meaning ordinary citizen. We are using Aam Shehri (عام شہری), as it is the closest to civilian. We have had difficulty translating several names. This is most likely because they were translated or transliterated incorrectly from Pashto to Urdu, or from either Pashto or Urdu into English. We have translated these names phonetically from how they were reported. We have included what we believe the original names might have been before they were translated or transliterated. Our reasons for these suggested alternatives are detailed below. There are two exceptions, which we believe are typographical errors and have been altered from the reported original before being translated: Qaru Almzeb and Nimatullah have been changed to Qari Almzeb and Naimatullah. Again our translators agreed it is not a Pakistani name. Again it could be a local title, or a nickname created by merging two names: Bahadur Khan, for example. Or it could be that the name Khan was distorted during the reporting or translating process. Our translators agreed Leetak is not a Pakistani name. However they believe it could be a nickname, a local title or a variation on a local name with foreign influences, from Uzbek or Tajik for example. Or it could be a distortion of the name Lateef. It was not clear if the name Sheen is the individual’s surname or if it represents an Urdu letter with the phoneme [ʃ] (sh). If so it could be an initial or somehow the full name was curtailed to its first letter, perhaps when a source told a reporter the name over a poor telephone connection. We believe Najid could well be a Pashto name but not one our translators had come across. It could therefore be a corruption of the more common Majid. Shahbuddin could have been a typing error or it could be a legitimate variation on the traditional name Shahabuddin. These names could be legitimate variations on the traditional names that our translators have suggested as alternatives. Our translators did not recognise this name and felt it could be translated to Zarwali. But a correspondent for BBC Pashto Service declared it most likely a corruption of the name Zamaryalai.